CLEARANCE ITEM: ALL SALES ARE FINAL. NO EXCHANGES OR REFUNDS. These designs were only used in the 2017-18 season. Names can be added to the back of garments by request. 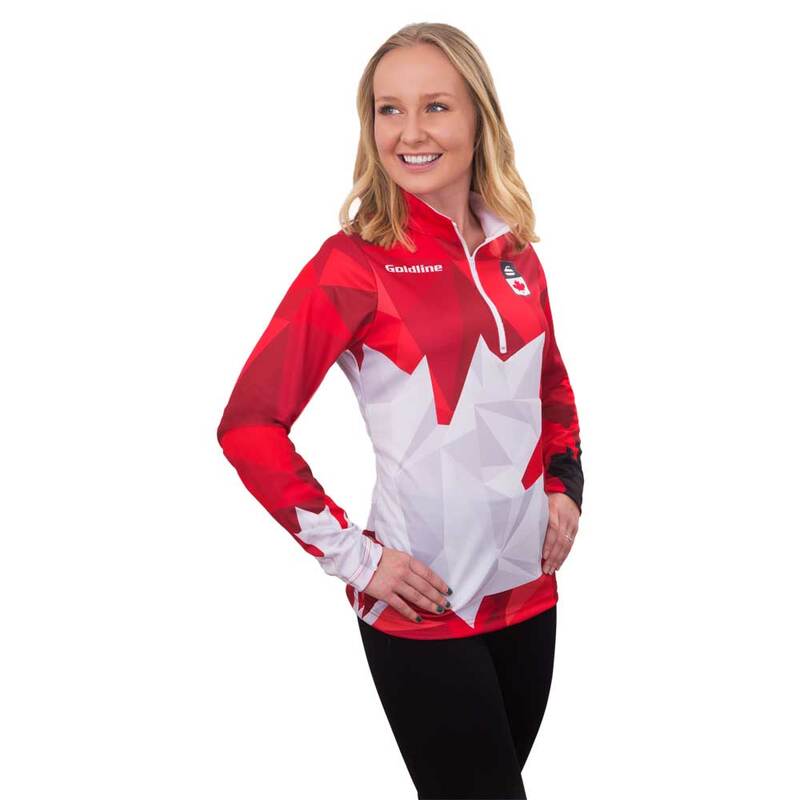 These Team Canada Jackets were worn by all teams representing Canada in international competitions in the 2017-18 season. 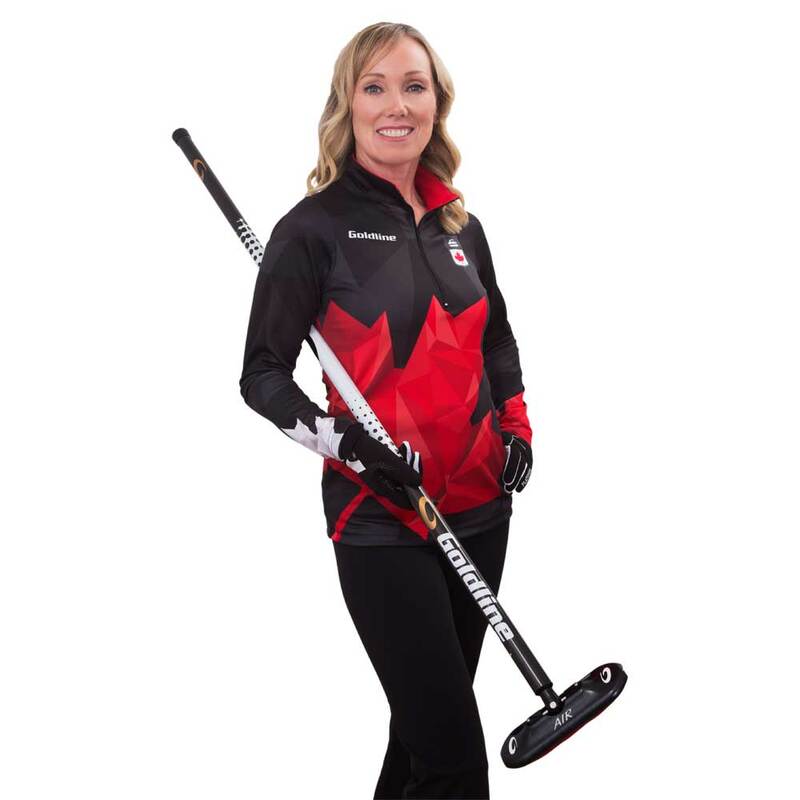 The Team Canada apparel was supplied by Goldline Curling. 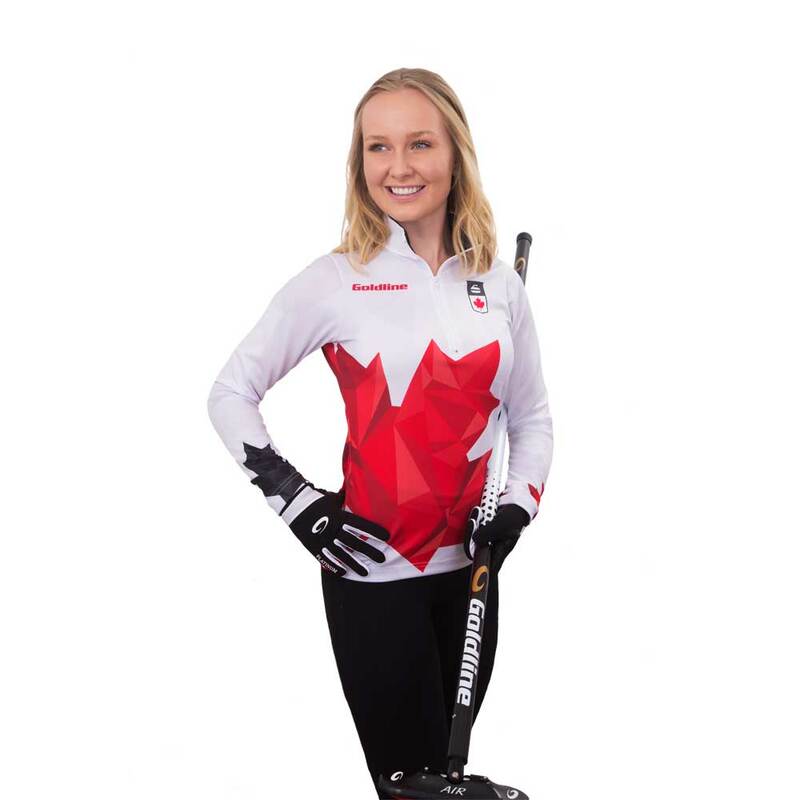 The design was created by Emma Miskew, a graphic designer and also known to curling fans as the vice on the Rachel Homan team. The garments are available in three styles, jacket, short-sleeve shirt and long-sleeve shirt, and in three base colourways - red, black, white. 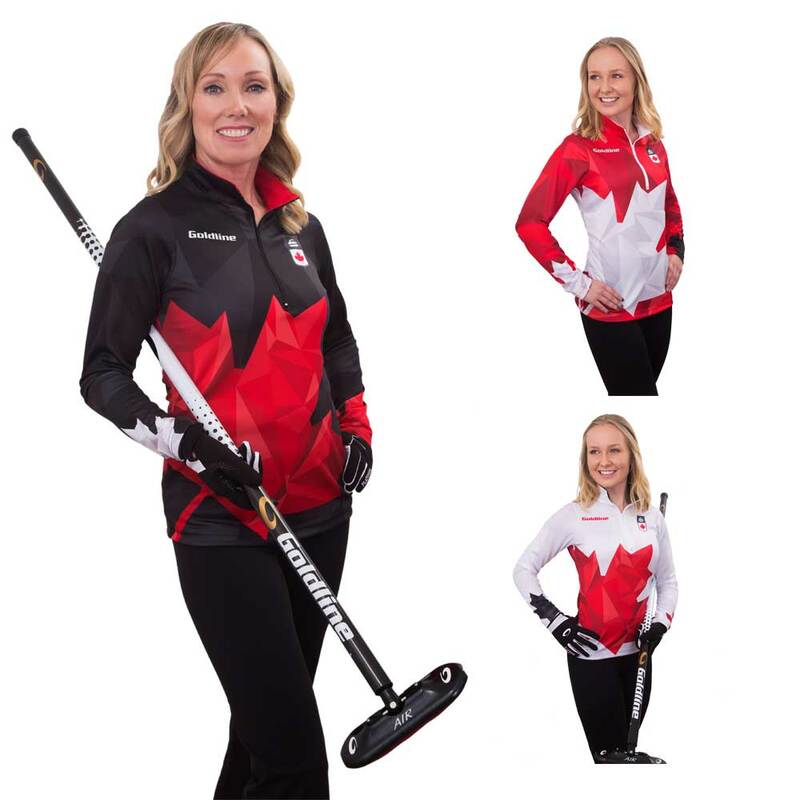 Due to the custom nature of this product, all sales of Authentic Teamwear are considered final sale and merchandise may not be returned to Goldline Curling for either exchange or refund if a name has been added or the garment has been altered in any way.